Could it be this pestiferous Doctor? The Reverend Doctor Christopher Syn is the smuggler hero of a series of novels by Russell Thorndike. 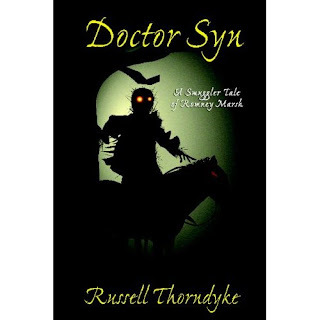 The first book, Doctor Syn: A Tale of the Romney Marsh was published in 1915. The story idea came from smuggling in the 18th century Romney Marsh, where brandy and tobacco were brought in at night by boat from France to avoid high tax. A tall, slender, charismatic man with a commanding presence, Dr. Syn was a man who would have succeeded in any career. Syn was a brilliant scholar and rousing preacher as well as being one of the finest swordsmen, riders, and seamen in all of England. Unfortunately, Christopher’s promising career was cut short when he was betrayed in love and left his calling to pursue a quest for vengeance across the world. Years later Syn would return to the little town of Dymchurch-Under-the-Wall, seeking to resume the quiet life of a country parson, but his past would not let him go. 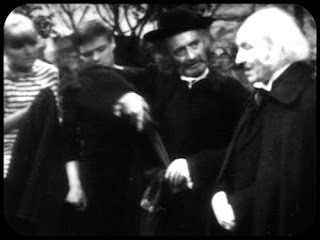 Learning that many of his parishioners were involved in smuggling, Syn resolved to protect them from the agents of the King’s Revenue. Assuming the masked identity of the Scarecrow, Syn led the smugglers in a series of adventures. 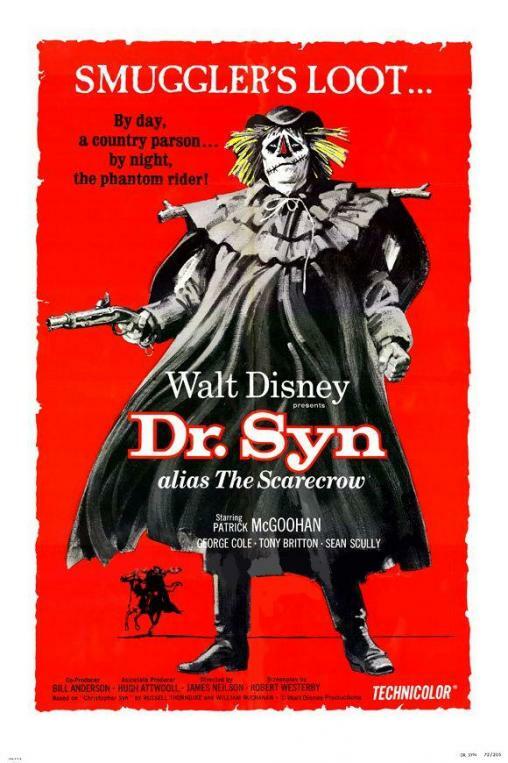 Three film adaptations have been made of Dr. Syn’s exploits – Doctor Syn (1937), Captain Clegg (1962) and The Scarecrow of Romney Marsh (1963). 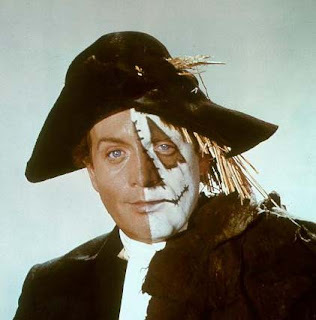 The 1963 version was produced by Walt Disney and starred Patrick McGoohan of Danger Man/Secret Agent and The Prisoner fame in the title role. Here is the opening sequence from the Walt Disney series along with an excerpt from one of the episodes. I am hoping to have all 3 film versions in the Cottage – but the Disney version is not available at the moment and is therefore rather expensive to buy second hand!The book is in the cottage, however, and it is a good read on a dark windswept night when you can imagine the scarecrow engaging in smuggling activities against the crown! Of course, Doctor Who had it’s own tale set in these times – The Smugglers broadcast in 1966. While staying at the cottage why not pop along to the Ship Inn at Dymchurch, as featured in the book. It has one of the largest (if not the largest) collections of Dr Syn related memorabilia in the world.